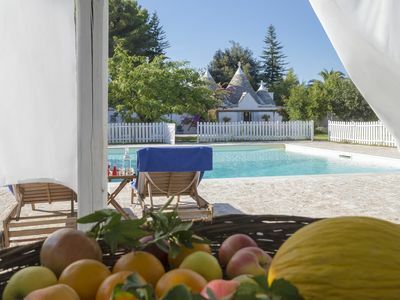 VILLA AURORA is a stunning Villa with its own large self contained Apartment/Suite and charming 300 year old Trullo in the countryside of Ostuni, in the Valle d'Itria wine region, close to many lovely beaches. 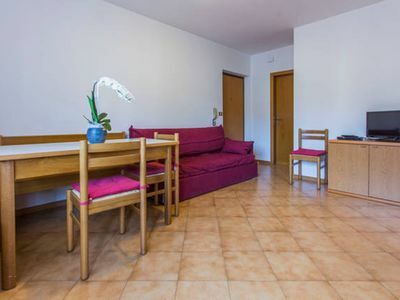 It is set in an idyllic tranquil location for total relaxation, yet it is less than a 10 minute drive to Ostuni town centre the famous "White City", Ceglie Messapica and Cisternino, where there are an abundance of great restaurants serving the freshest local produce and great Puglian wines. It sleeps 15 people, with the option of sleeping up to 17, and is fabulous for much smaller groups too. 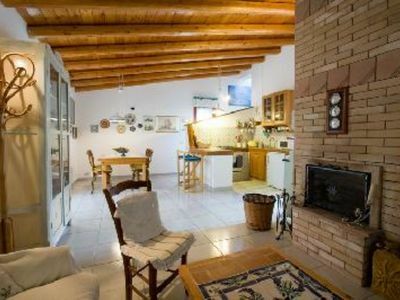 The VILLA, APARTMENT & TRULLO have all been beautifully and comfortably furnished throughout. 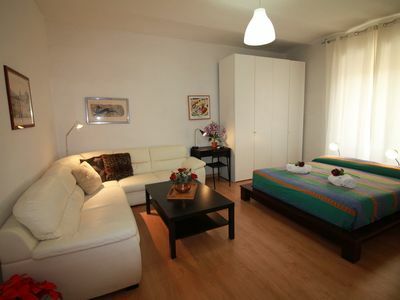 All 7 BEDROOMS are tastefully decorated with good quality very comfortable beds. It has lots of large windows and doors to enjoy the beautiful views from whilst inside, making it light, airy and spacious. There are 4 LARGE TERRACES and 3 LARGE COVERED OUTSIDE VERANDAS to sit, eat and relax. 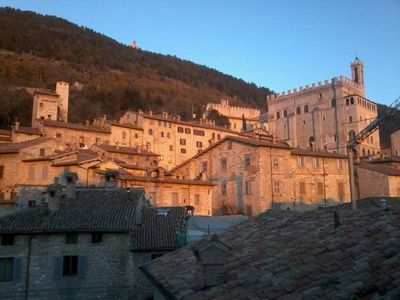 The ROOF TERRACE is truly amazing with the real "WOW" factor! 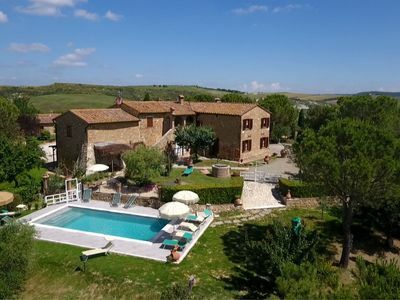 All this surrounded by beautifully landscaped gardens, an olive grove, ancient olive trees and a wonderful 10 x 8 metre HEATED SWIMMING POOL. 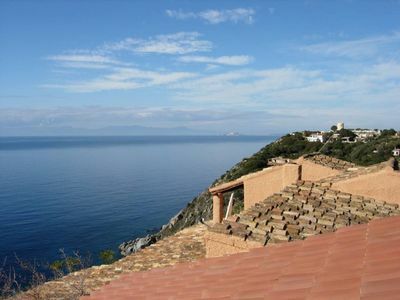 In low season or for late bookings we are prepared to rent the villa out separately. The UPPER LEVEL with its high ceilings has a large LOUNGE with Samsung Smart/3D & Apple TVs, Sky satellite system, DVD player, iLuv music system and B & O bluetooth speaker, sofas, armchairs and two sets of glass doors - one leading out to the FRONT TERRACE and the other to a large covered VERANDA with 2 sofas, 2 dining tables and 16 chairs. The lounge is open plan and leads through to a fully equipped KITCHEN with air conditioning, which cools both the lounge and kitchen. There is a large dining table and chairs with glass doors leading out to a covered VERANDA where it is a delight to eat. The MASTER BEDROOM has a chaise longue to sit and peacefully relax, with glass doors leading out to another covered VERANDA with 2 steamer armchairs overlooking the beautiful swimming pool. 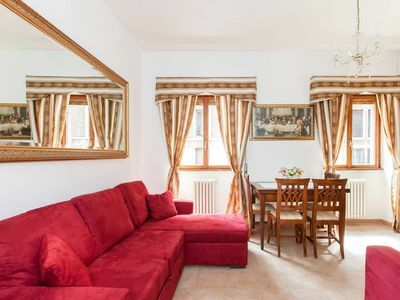 There is a further very pretty DOUBLE BEDROOM and a spacious FAMILY BATHROOM with bath. Both bedrooms have air conditioning. DESK AREA and printer for guests use and a marble staircase leading to the lower level of the Villa. The LOWER LEVEL OF THE VILLA has 3 BEDROOMS. 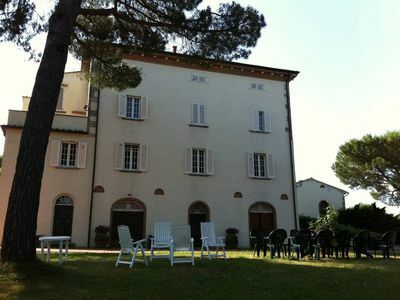 This level of the Villa is huge and very cool in summer, therefore air conditioning is not required. There is a very large FAMILY BEDROOM plus TWO further BEDROOMS - There are 2 modern BATHROOMS with walk in showers. The DINING AREA looks out onto the garden where the entire wall is heat reflective glass panels and doors. This has the most spectacular glass dining table with chairs all around, with the base of the table being the root of an ancient tree. Next to it is a gold chesterfield sofa. This leads into a MASSIVE LOUNGE with a full size Riley snooker table, 3 sofas, 2 wing armchairs, antique opium day bed, iLuv music system, Panasonic Plasma & Apple TVs with Sky satellite system and DVD player. On this level there is a further KITCHEN with a large stone breakfast bar, bar stools, large American style fridge/freezer, separate ice making machine, microwave/oven, 6 burner hob, cooker hood and double sink. There is a large UTILITY ROOM with a supersize washing machine, tumble drier, iron, ironing board, deep porcelain sink and fridge/freezer. The SELF CONTAINED SUITE/APARTMENT is very spacious. Whilst being part of the Villa it has the benefit of having its own front door giving the guests staying there total privacy. It has a very large DOUBLE BEDROOM with air conditioning and wonderful views overlooking the swimming pool and a spacious BATHROOM. 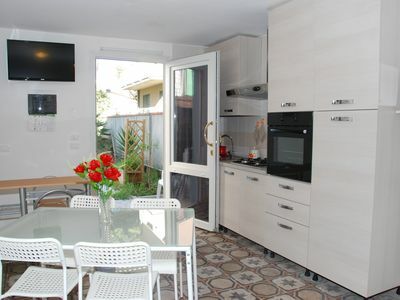 There is a well equipped KITCHEN/DINER/LOUNGE with dining table, 6 chairs, sofa, TV, DVD and CD players. From here there are glass doors leading out to the FRONT TERRACE where there is a table and chairs to sit and enjoy breakfast, have lunch and drinks. The TRULLO is unique to this part of Italy and is 300 years old. It has been fully restored, tastefully providing all the comforts anyone would desire. 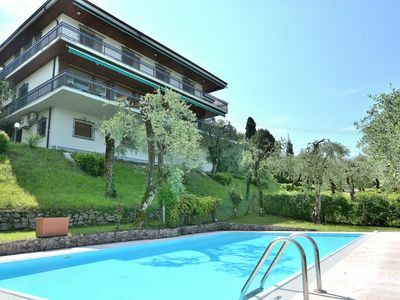 It has the added benefit of being right next to the villa and consists of a DOUBLE BEDROOM, BATHROOM, LOUNGE with sofa, table, chairs, TV & DVD player and fully fitted KITCHEN. The walls are over a metre thick, making it cool in the hot summer months. It has air conditioning to provide heating for the cooler months of the year. There are 7 bedrooms in total sleeping 15 people, plus a full size baby cot and highchair. Additional cots and highchairs can be provided. To sleep 2 extra people we have additional single beds which can be put into the apartment lounge, family bedroom or lounge in the lower level of the villa for an additional charge. There are many areas to eat inside the Villa, plus several lovely different areas outside to sit and relax, both in and out of the sun. 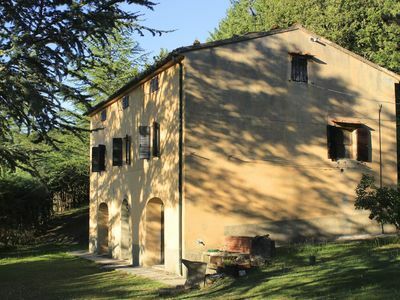 The doors and windows are all double glazed with shutters and insect screens, giving total darkness to all the bedrooms at night, creating the perfect sleeping environment. There is the MOST INCREDIBLE ROOF TERRACE with a marble staircase leading up to it with sofas, coffee table, dining table, chairs, bbq and extensive lighting for evening entertaining. From the villa's elevated position you have spectacular views across the hills to Ostuni, Ceglie Messapica and Cisternino. Perfect for sitting sipping an aperitif watching the sunset and to have dinner under the stars with the most amazing "WOW" experience, which never goes away. UNLIMITED Wifi throughout the Villa and the Apartment, even around the swimming pool and on the roof terrace, but excluding the Trullo. Fully comprehensive Guest Information Books detailing everything guests need to know. 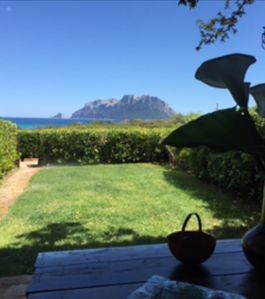 Property Manager on hand who speaks Italian and fluent English for our meet and greet service on arrival and to give any assistance which may be required during your stay. A cook can be provided for evening meals for an additional charge, as well as daily cleaning and babysitting. Smoking is not allowed inside the properties only outside, which really isn't a problem as there are so many nice places to sit and enjoy the views. Private 10 x 8 metre heated SWIMMING POOL plus large roman steps and advanced salt water chlorine free system. 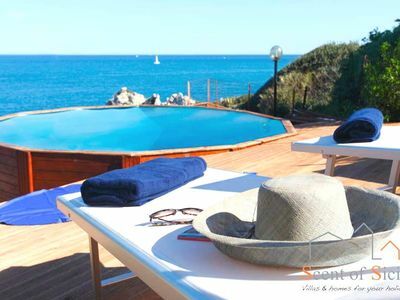 12 high quality sun loungers, 4 super size designer armchairs, 2 sun umbrellas and its own deluxe fully tiled BATHROOM with walk in shower, plus a SOLAR HEATED SHOWER by the poolside. 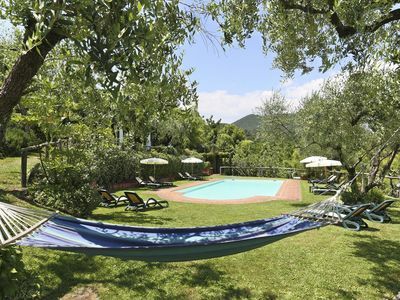 Large stone patio all around the pool bordered with lovely lawns and an oak swing hanging from an ancient olive tree. We have the latest technology SOLAR POOL COVER for the beginning and the end of the season, which really does boost the pool's temperature by several degrees. Being here really is like being in a five star hotel but having it all to yourself, it is so large, tranquil and beautiful. There is a very large covered DINING AREA BY THE POOL with a stone table and chairs, stone double sink, fridge, stainless steel cool cart and built-in bbq. This has full lighting all around, including the swimming pool and the garden, with a beautiful Egyptian lantern over the dining table. Leading up from the swimming pool is a lovely natural STONE TERRACE with benches to sit quietly under the ancient olive trees and enjoy looking down at the swimming pool area, statues and the mediterranean gardens around. There are 2.5 acres of BEAUTIFULLY LANDSCAPED GARDENS consisting of many different interesting individual areas which are an absolute delight and maintained to the very highest standard. Amongst this is a LOVELY LAVENDER GARDEN and an OLIVE GROVE. There are palms, almond, cypress and many other trees. Fig, mulberry, pomegranate, orange and lemon trees to pick your own fruit from. Rosemary, thyme, sage, mint and oregano bushes for fresh herbs to cook with. 15 kW 3 Phase electrical supply at the property to handle all of our electrical requirements and to avoid the problems experienced by many other properties in the area who do not have this, hence their electrics will always be tripping. This is a big plus for us and something all travellers must consider when comparing our property with others. 4 SHADED CAR PORTS plus lots of parking areas all around the grounds. ELECTRIC GATES with intercom system leading to a LARGE DRIVEWAY going all around the property. 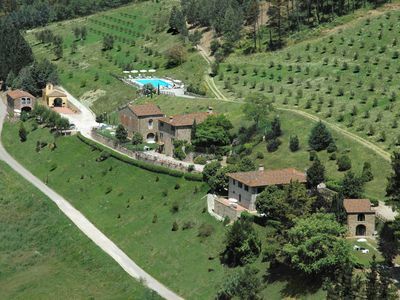 The property is very private and secure with a high fenced dry stone wall around the entire 2.5 acres. Outdoor TABLE TENNIS and TABLE FOOTBALL. Linda and Chris have put the utmost care and attention into every precise detail. 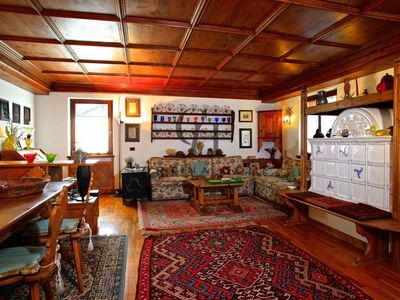 It has been furnished as our home, not as a holiday rental property, giving it that warm homely feel, despite its size. We manage the property ourselves and Linda prides herself in giving our guests a first rate very personal service, always being there to assist, which all our 5* reviews testify. The photographs really don't do it justice, it is better than even the photographs portray. 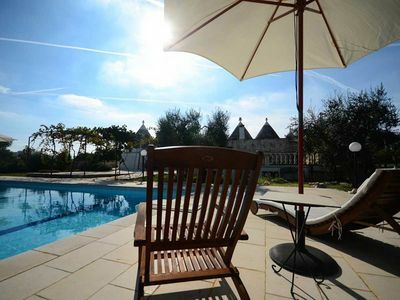 Luxurious Trullo with Large Pool and Garden. Great Location. 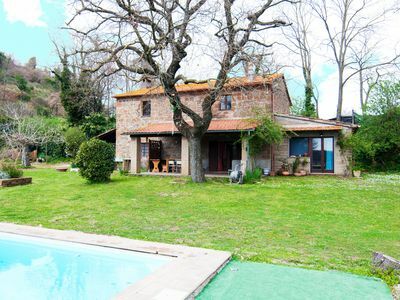 Apt in farm with pool and garden to eat outside, wi-fi. 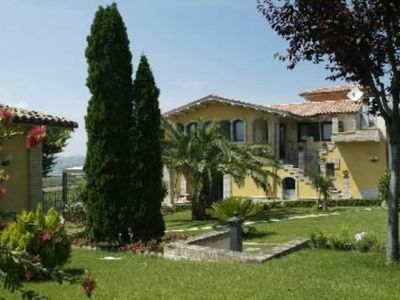 Villa overlooking the sea with garden and piano in living room.